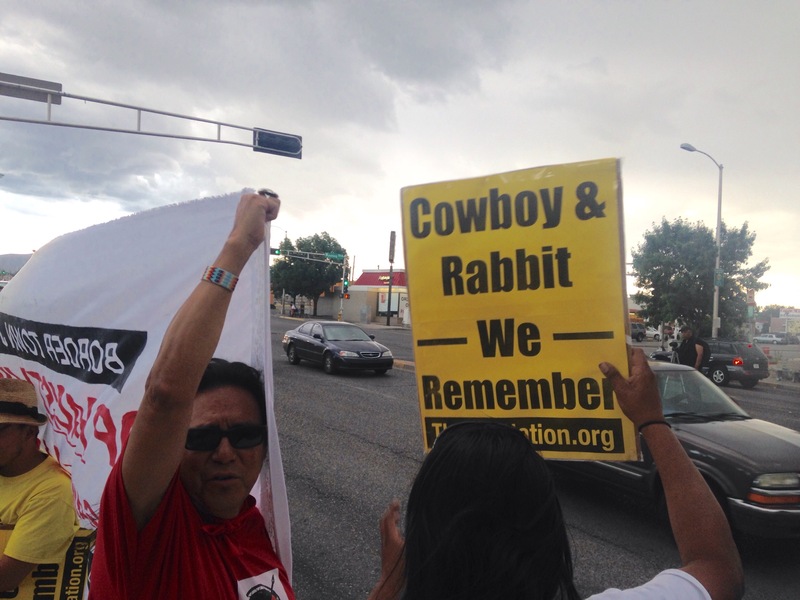 On Sunday evening in Albuquerque, more than fifty people attended a memorial and vigil to mark the one-year anniversary of the violent murders of two Diné men, Allison “Cowboy” Gorman and Kee “Rabbit” Thompson. The surviving family members also came to remember their lost relatives. Last year on July 19, the bodies of Thompson and Gorman were found in an abandoned lot in Albuquerque’s West Side. Bludgeoned beyond recognition by three teenagers, Thompson and Gorman were only later identified because of the Albuquerque Indian Center (AIC) cards they carried on their persons. Native people who are killed or found dead are often identified through AIC cards where they collect mail and access services such as restrooms, meals, and Internet. 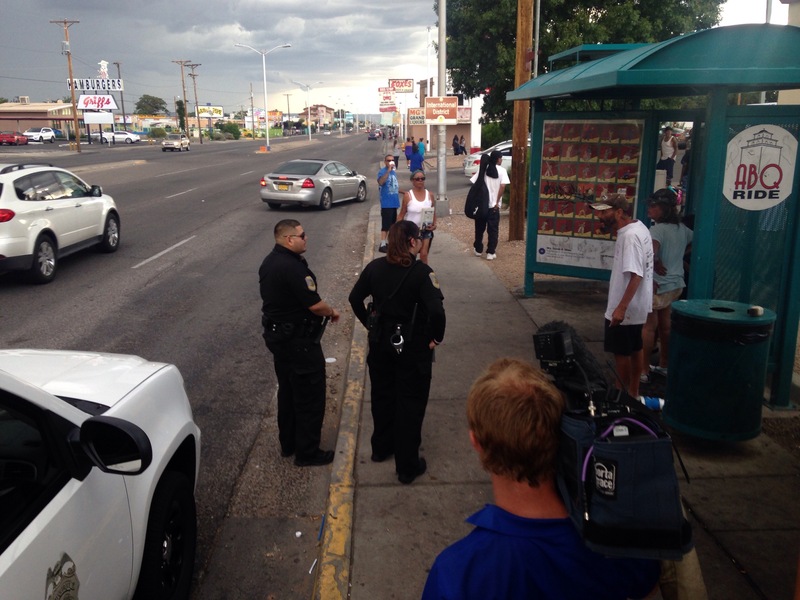 As a 2015 report from ABQJustice indicates, the Albuquerque Police Department (APD) frequently confiscate the IDs of Native people on the street with the justification that they will be prevented from buying alcohol. At the time of the murders, AIC staff had gone almost three months without pay, a recurring theme in the last five years. The center frequently applied for city funding–sometimes being the only applicant–only to be denied. 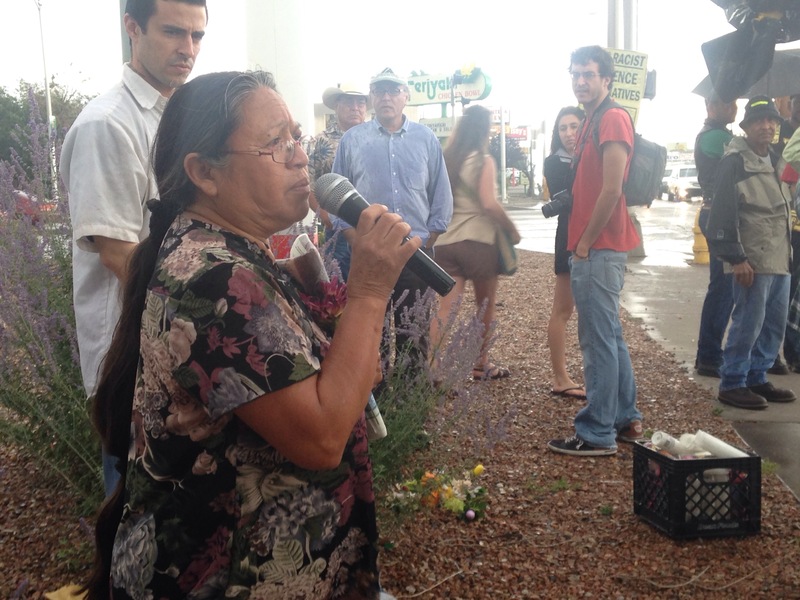 Sunday’s vigil underscored the daily discrimination, persecution, and racial violence Albuquerque Native people face from APD and community vigilantes, even as they tried to mourn its victims. 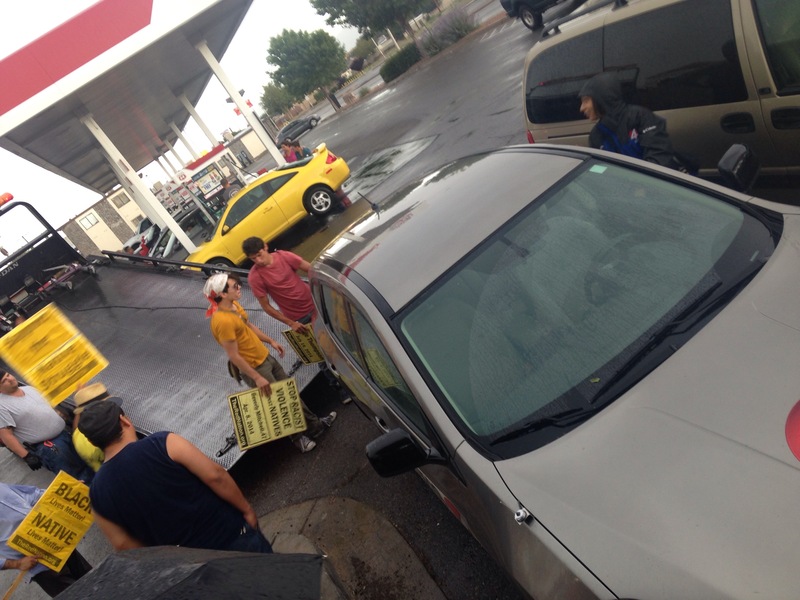 Amidst the mourning, prayers, and stories of the slain, private security from the Circle-K convenient store antagonized attendees and called towing services to have people’s cars removed. Despite the badgering from law enforcement and a thunderstorm, participants laid flowers and offered up words of encouragement and support to the surviving families. 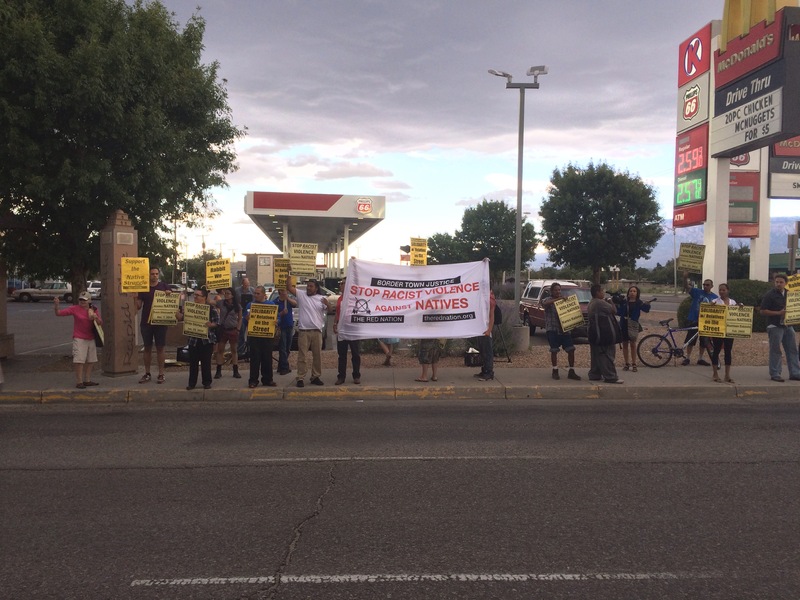 Participants also held signs in honor of Paul Castaway, a Lakota man killed by Denver police This year on July 12. The memorial was held in remembrance Thompson and Gorman and all the countless many Native people who have been the victims of border town violence.